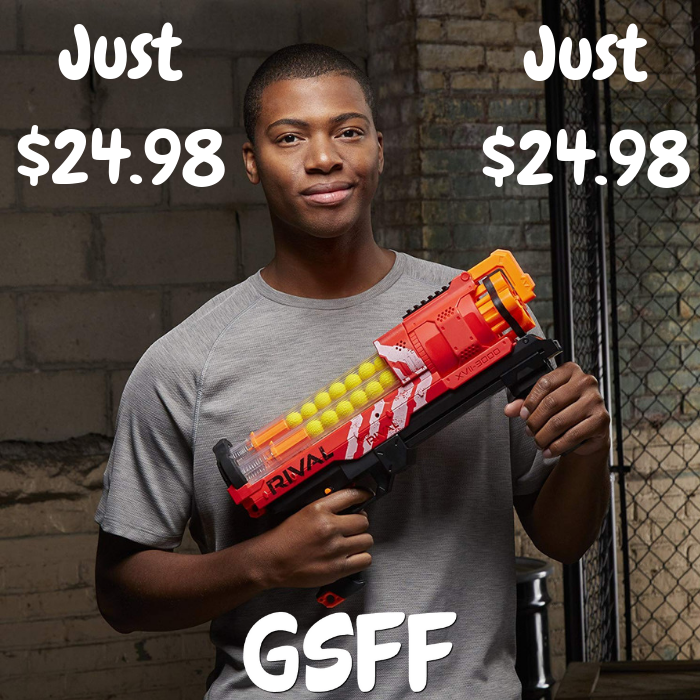 Nerf Rival Artemis Just $24.98! Down From $45! PLUS FREE Shipping! You are here: Home / Great Deals / Amazon Deals / Nerf Rival Artemis Just $24.98! Down From $45! PLUS FREE Shipping! Amazon has this Nerf Rival Artemis on sale for only $24.98 down from $44.99 PLUS FREE shipping! Experience intense head-to-head competition with the ultimate precision and power of Nerf Rival blasters! Choose a side and go into battle as Team Red or Team Blue (each sold separately). Go into battle with the high-capacity Nerf Rival Artemis XVIII-3000 blaster, and experience the intensity of precision battling!